For effective fleet management to take place, there are essential best practices that need to be followed. These best practice guidelines are meant to be used as a tool – not a crutch – to aid fleet management teams. One of the leading aspects of feet management is fleet tracking telematics. This tool can track the fleet when it’s on the move and allows instant updates on the fleet’s progress and potential issues. By being notified of problems instantly, fleet managers will be able to make well-informed decisions, quicker. A risk management plan is necessary for all projects, as it is always best to plan for any potential issues that may arise. 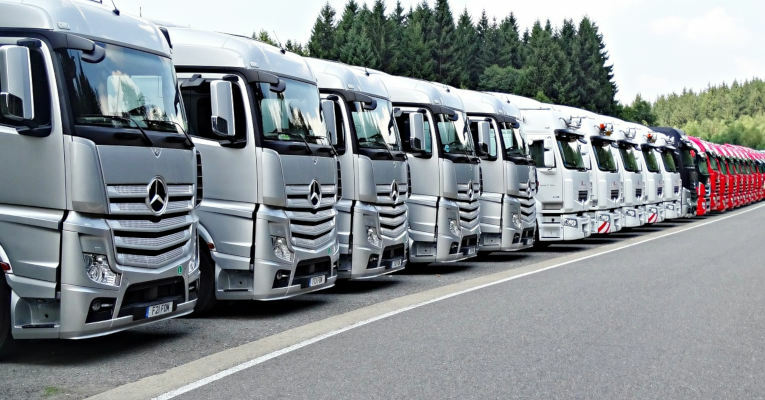 As far as fleet management is concerned, it is incredibly important to ensure that all safety precautions are in place, and that your drivers will not be subject to any unnecessary and avoidable risks. The risk management plan should include possible issues that may arise and potential solutions to these problems. It should also include the names of team members who will be responsible for these different issues. Fleet management is more often a team effort and can only be effective if team members are aware of their responsibilities. In this digital era, it is incredibly easy to make maintenance management mobile and automated. Maintenance management software allows all members of your team to access schedules, report on their progress and receive updates on when to make the necessary vehicle inspections. By automating maintenance management, you will be making your fleet management process more cost-efficient and effective. For effective fleet management to take place, you need to ensure that your assets (the vehicles) don’t become a liability. You need to have a purchasing plan in place. The plan should account for bulk vehicle purchases, the depreciation of said vehicles, and the appropriate time to sell old vehicles and buy new ones. Once the plan is in place, ensure that all team members are made of aware of it and that it is easily accessible to them. When it comes to fleet management, constant monitoring is essential. By using specific metric data such as cost per mile, operating cost and total cost, you can monitor the progress and efficiency of your fleet. For the data to be useful, it should be directly related to your fleet and its overall progress. You will then be able to use this data to correct any issues that arises and improve performance. Whether you choose to create incentives for good driving habits or a company culture of high driving performance, setting a standard for your drivers will go a long way in ensuring the success of your fleet. Setting a high standard for safe driving habits and well-maintained vehicles will ensure fuel efficiency and prevent high vehicle expenses. Imagine how much longer your vehicles will last when all the drivers are dedicated to keeping their vehicles running well and their fuel costs low. Using the Cloud to store all your documents – receipts, invoices, plans, etc. – is convenient, efficient and free. Digital storage allows your important documentation to be protected, easily updated and easily accessible to your entire team. This digital era has made storage cabinets and filing obsolete. It is much easier and safer to upload documents to the Cloud, where you can access them quickly whenever necessary. As with many things in life, the fleet management industry is not stagnant. It is important to stay knowledgeable and adapt to the changing regulations and advancements in the industry. Due to the advancements in technology, information has never been easier to acquire. Staying up-to-date on the latest fleet management software, vehicle technology and other industry essentials will allow you to make educated decisions on managing your fleet. With information so readily available, it shouldn’t be too difficult to find cost-effective solutions to issues, or to find ways to lower expenses without compromising your fleet. All industries need guidelines to follow and the fleet management industry is no different. However, these are only guidelines. They are not meant to restrict your own innovation and creativity, but to encourage it. Use the guidelines but create your own path.